Shepherding is serious business. The welfare of families & villages are dependant on the saftey & care of the flock. John 10:11-18. 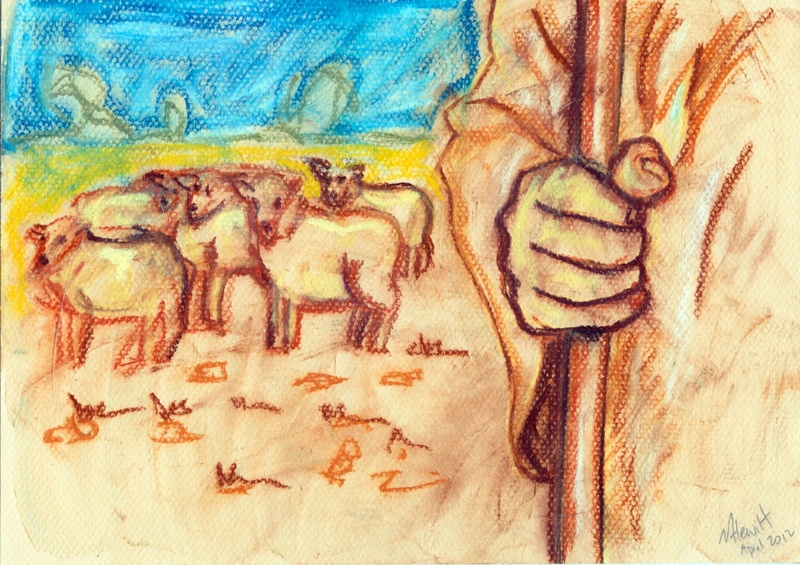 This entry was posted in Easter, Mixed Media, Visual Art, Worship, Year B and tagged sheep, shepherd on April 26, 2012 by Mark.